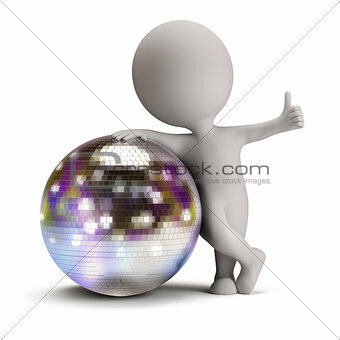 Image Description: 3d small person standing next to a disco ball and showing a positive gesture. 3d image. Isolated white background.